Our students have 24 hour access to the Oceanside High School Catalog. Click on Follett Destiny to begin your search for library materials. ​Sora makes it easier than ever to browse, download, and read books from our digital library. The best thing about Sora is that your librarians can create collections of books with you in mind! We have collections of everything from books your librarians especially loved to retold fairy tales to John Green read-a-likes. Research begins here. 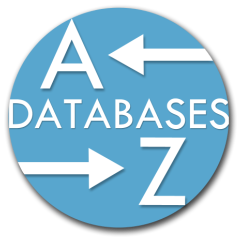 Access our library's databases which are organized according to subject to get you started. ​JSTOR (pronounced JAY-stor; short for Journal Storage) is a digital library founded in 1995. Originally containing digitized back issues of academic journals, it now also includes books and primary sources, and current issues of journals. It provides full text searches of almost 2,000 journals. EasyBib is an online tool that helps users create citations in MLA, APA and Chicago/Turabian styles. With EasyBib you can create a works cited list and parenthetical (in-text) citations.